27 February 2018, 12:12 p.m. In an increasing bid for developers’ attention, Google is preparing support for Linux apps in Chrome OS. Linux continues to be immensely popular amongst the developer community. Last year, Microsoft stripped the beta tag from its own Windows Subsystem for Linux (WSL) which allows Linux apps to run on Windows 10. Similar to Microsoft’s attempts, it’s clear Google believes supporting Linux will ensure developers spend as much time on their respective platforms as possible. While it may seem counterintuitive, it means developers are more likely to make native apps for the platform they’re using in their spare time. A commit to Chromium was spotted by Reddit users which adds a new device policy allowing virtual instances of Linux to run on Chrome OS for the purposes of running containerised applications. Google’s internal name for this endeavour is Project Costini. Unlike Microsoft’s WSL, Costini is designed to run GUI apps as well as terminal – offering a big advantage to Google’s implementation at this point. However, Google will still face an uphill battle against Microsoft. Windows boasts tons of great development apps, whereas Chrome OS is relatively bare. The low prices and fast boot speeds of Chrome OS may win over some developers, but these advantages may not be around for much longer with Windows 10 for ARM on the horizon. We’ll likely have an official announcement from Google with regards to Project Costini during this year’s I/O developer conference in May. When Google announced support for Android apps in Chrome OS back in 2016, it took just over a year for them to be launched. That would be a duration Google cannot afford. 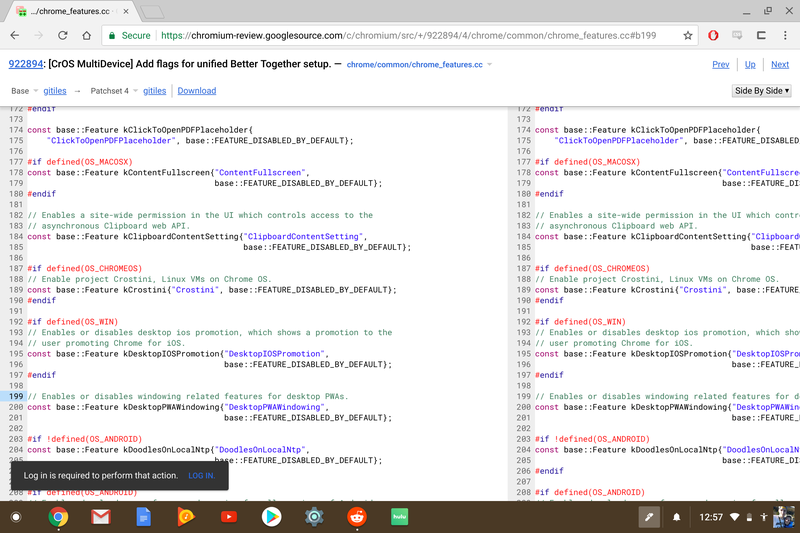 Are you looking forward to Linux support in Chrome OS? Let us know in the comments. 28 Feb 2018, 1:26 p.m. Already working in the Canary channel and works great. There is a lot of benefits with ChromeOS and really for developers it is up against OS X and NOT Windows. In the old days engineers used Windows but most have since moved to the Mac so NOT sure why you are comparing to Windows? What I love is the cloud is GNU/Linux so prefer develop on GNU/Linux. OS X is close and far better then Windows but still not ideal. 4 Mar 2018, 6:58 p.m. I'm currently on Canary channel (67.0.3361.0) And i can't seem to enable it, i found the #enable-experimental-crostini-ui flag, but that's it. no icon, no crosh/shell command.